Charlie Luken is Senior Counsel at Calfee, Halter & Griswold LLP, a full-service corporate law firm with an office in Cincinnati. 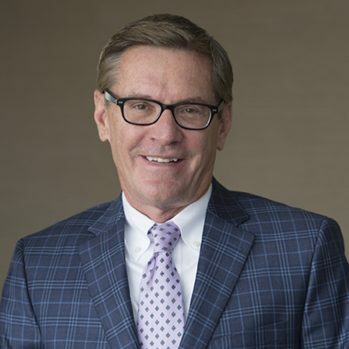 He joined Calfee’s Government Relations and Legislation group in 2006, after holding the mayoral office of the City of Cincinnati twice – from 1983 to 1991 and then again from 1999 to December 2005. In addition to his experience as Mayor, he also served as a congressman in the U.S. House of Representatives for one term and practiced law in the private sector for 24 years.